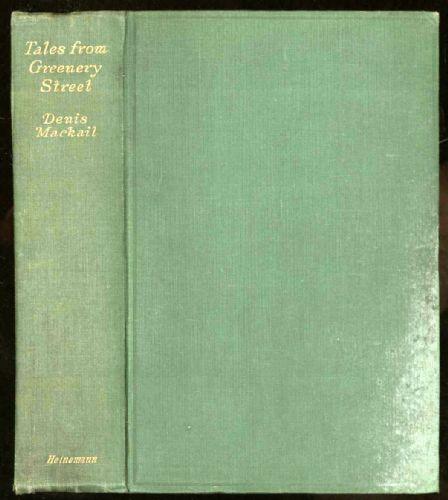 For more than three years, I have been looking forward to Tales from Greenery Street by Denis Mackail. Mackail’s Greenery Street, which I first read back in 2010 and which remains one of my favourite Persephone titles, is a delightful chronicle of Ian and Felicity Foster’s first year as a married couple and their adventures in housekeeping in Greenery Street. In this sequel, Mackail returns to Greenery Street and turns his attention to the other residents, though Ian and Felicity do appear in the final story. It is a phase through which the lucky ones pass – so real at the time that you can actually count the lampposts and paving-stones; actually live and laugh and weep there, and pay genuine rent to three-dimensional landlords for which they return tangible and objective receipts. Greenery Street represents those first difficult years of married life when young couples are struggling to live on too little money and with too little experience of running their own homes. But they are enjoyable struggles and though each couple might experience the odd moment of frustration with their spouse, their relationships are never truly at risk. Husbands might lose their jobs, wives might be driven to distraction by unmanageable staff, and all of them might feel slightly resentful of the children who, when they arrive, force their parents to leave their beloved Greenery Street in search of more generously-sized lodgings, but Greenery Street is an optimistic place and any shadows that may fall are quickly swept away. Mackail, a contemporary and friend of some of my favourite comic writers (A.A. Milne and P.G. Wodehouse, among others), has such a warm sense of humour. While his sister, my beloved Angela Thirkell, could be rather caustic, Mackail clearly feels affection for his characters; he may laugh at them but he never does so in a disparaging way. For example, one of the young wives sings “…with a freedom from self-consciousness and an entire refusal to be balked by ignorance of the words, which might have irritated us if we had lived next door to her, but can only charm and please us when we read about it in print.” What a nice way to put that! Mrs. Hunter reminded herself that all men were imbecile children, and by this means just stopped herself asking the very reasonable question: ‘Why not?’ Nor did she point out that her husband had for several years owed many of his comforts to money derived from this precise source. Nor – which was even cleverer of her – did she show by so much as the briefest pause that she had ever thought of either of these answers. He shows real affection and understanding between husbands and wives and that is rare enough that you can’t help but be happy to have an entire book full of such relationships. This does sound just as lovely as Greenery Street! I would love to read this – and the third, Ian and Felicity – but have now forgotten so much of GS that I’d have to re-read that, even if the other two were easily available. It’s been more than 3 years since I read Greenery Street so let me be the first to tell you that a reread is not necessary. Delightful, yes, but not necessary. The stories stand quite well on their own. I have had Denis Mackail on my to-read list ever since I learned he was Angela Thirkell’s brother (probably from you!) I didn’t realize there was a sequel to Greenery Street, though, let alone a third book. I’ve only read three of his books now but I’ve enjoyed them all! I hope I’m able to track down more of them soon. 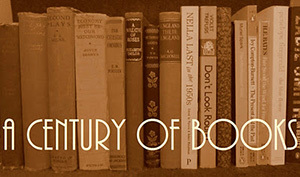 Another dent in my resolve not to buy any more books! I like Mackail very much, and I did promise myself that I could be allowed to collect more of his novels… hmm, now to justify the other books I’ve bought already this year. Whoops, didn’t mean to tempt you out of any resolutions! Still, Mackail is so fun and entertaining that it could never be a bad thing to add this to your collection. Did not know there were sequels! I think Greenery Street is moving up to next to read! They exist, difficult though they may be to track down! Hope you enjoy Greenery Street when you read it. Oh this sounds lovely. I too loved Greenery Street. I hadn’t realised that Angela Thirkell was his sister. I read Greenery Street before I ever tried Angela Thirkell. Now that I love them both, I could not be more delighted by the connection (and the revelation – hardly surprising – that Thirkell was a bossy elder sister).